Lily Harper narrowly survived her first mission as a Soul Retriever in the first level of the Underground City. After that harrowing trip, she wants nothing more than some down-time, but as with most things involving the afterlife, nothing ever quite works out the way Lily wants it to. Her newest mission will see her traveling to the sewer aqueduct of the Underground City and later, the prison. From New York Times And USA Today Bestselling Urban Fantasy Romance Author, HP Mallory, Comes The Lily Harper Series! If you like your books steamy (this is an adult fantasy romance, not for kids or teens!) and you aren’t easily offended by potty-mouthed, crass guardian angels, read on! 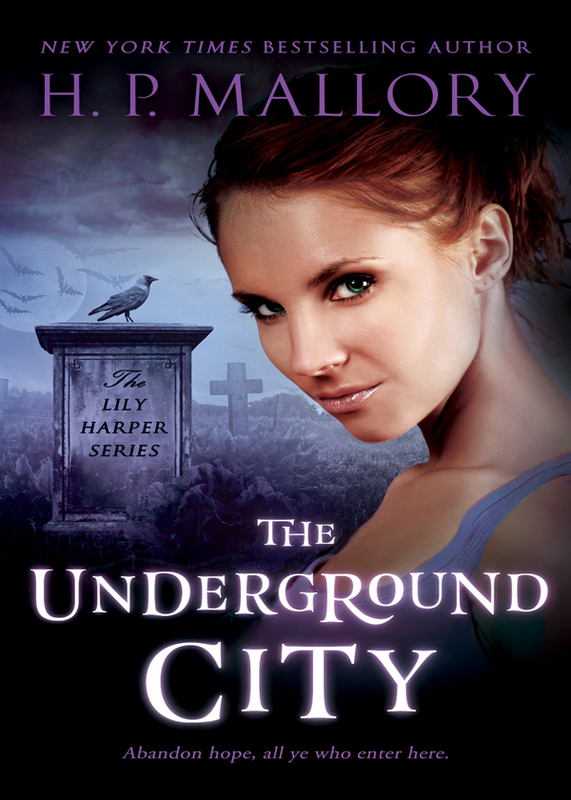 THE UNDERGROUND CITY is the second book in the Lily Harper urban fantasy series. The first book is BETTER OFF DEAD! Her newest mission will see her traveling to the sewer aqueduct of the Underground City and later, the prison. But, luckily for Lily, she’s got the hunky yet antisocial bladesmith, Tallis Black, by her side. And quite possibly unluckily for her, she’s also got her guardian angel, Bill, who’s up to his old, foul-mouthed antics. Between learning how to wield her sword, personal training with a hot-headed demon, traveling to the Underground City not one but two times and discovering that the leader of the Underground City harbors a curious fascination with her, Lily’s hope was abandoned a long time ago. You can purchase the book online from Amazon or Smashwords in multiple eBook formats at https://www.smashwords.com/books/view/408470.